With London property prices rising, Wiltshire has grown in popularity in recent years, and we have been fortunate to have designed bespoke kitchens into some of the counties most beautiful houses. Areas of particular popularity among our clients are Hindon, Wilton, Calne, Marlborough, Pewsey, Ramsbury and Great Bedwyn. The Woodford Valley north of Salisbury is a particularly beautiful location favoured by house-buyers, with larger country and period houses commanding high prices for the county. We have recently designed a bespoke kitchen and scullery for a large Elizabethan house near Wylye, a kitchen for a house in Baverstock (which was used in the filming of the Great British Bake Off), a large Georgian kitchen for a Queen Anne house near Wilton and a library and kitchen for a significant property in Great Durnford. Further to the west, we are currently involved on kitchen projects in Donhead St Mary and Donhead St Andrew. The number of stately homes, large country houses and traditional manor houses is a marked feature of Wiltshire’s landscape. Of particular note is the use of flint as a building material; this is particularly prevalent around the Stockton area in the Wyle Valley where many houses have a chequered flint and stone pattern to their exterior. The architecture of The Close in Salisbury is of particular note. Late 17th century and 18th century architecture of the large houses in The Close blends beautifully with the early English Gothic architecture of Salisbury Cathedral, Wiltshire’s most notable landmark. Designing kitchens for the period manor houses of Wiltshire is particularly enjoyable. Most manor houses are built with large rooms for entertaining, and consequently they are often perfectly designed for the modern day kitchen and living needs of modern families. 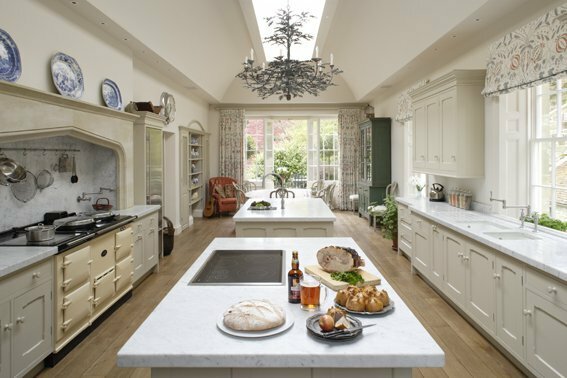 A selection of some of the larger kitchen projects designed for Wiltshire houses can be found on our kitchens portfolio page. Commissioning Artichoke to design a bespoke kitchen for your house in Wiltshire is a far cry from visiting a high street showroom where a choice of pre-designed ranges is readily available. Artichoke’s design team specialise in designing unique and original kitchens, and our first requirement is to really understand how you live and function as a family. We will also take an objective and strategic look at the architectural layout of your home to ensure that the kitchen space functions well with the rest of the house. We will also ensure that the kitchen has enough supporting capabilities such as larder, pantry and scullery areas. Only once we understand you and the space do we begin the creative process, which we start with a blank piece of paper. 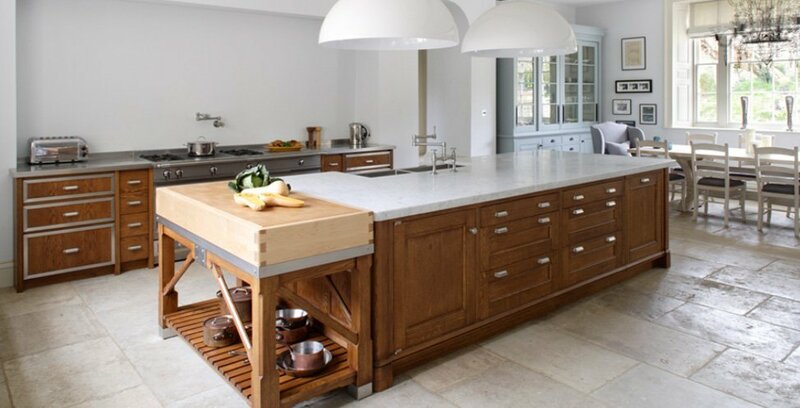 If you have a kitchen project in Wiltshire, please contact the Artichoke design team to discuss it on 01934 745270 or email us at newprojects@artichoke-ltd.com. View our portfolio to see more examples of our work in Wiltshire and the rest of the UK.